It's so easy to set down your phone and forget where you placed it, especially if the volume is turned off. This IFTTT applet turns your phone's ringer to max volume and uses a VOIP (voice over Internet protocol) number to dial it. This might not work with all phones. When you're in the middle of cooking dinner and realize you're missing an ingredient, the last thing you want to do is find your phone and send a text. Google Home can do it for you. Just tell Google to text your spouse/friend/family member and let them know what ingredient you're missing. This can also be used to send texts when you don't feel like finding your phone, or when something comes to mind. Tweets are a lot like texts – the most inspired ones come when you're in the middle of something more important. Rather than stop what you're doing, say, "Hey Google, send a Tweet," then tell Google Home what you want to Tweet out to the world. It'll show up on your timeline without any need for you to press a button. This is more fun than it is useful. Your phone is like a modern-day diary. Handing it to someone for them to enter their contact info may be the way everyone used to do it, but Google Home makes it even easy to enter a new contact. If you have a dinner party and make new friends, say, "Hey, Google, add a contact. His name is Bob, and his number is 555-555-5555." Not only is this an easier, more private way to add new contacts to your phone, ​but the applet may also be a conversation starter. No more handing our phones to people. If you're the type to keep a small notebook on hand at all times to record random thoughts, then this is the applet for you. When you have a thought, you want to record, tell Google to add it to your digest. At the end of the day, Google Home will send you an email with the notes you've entered. You need to be near Google Home or the Google Assistant app on your phone. This applet is similar to the note-taking app, but with a fun twist. Your kids can tell Google to let Santa know what they want for Christmas, and rather than sending a letter to the North Pole, Google will add the entry as a line in a Google Sheets document. You can reference this document easily and nail Christmas presents every year. Not applicable at all times of​ the year. When you're shivering under a blanket or sprawled on the couch sweating, you don't want to get up to adjust the thermostat. If you have a smart thermostat, Google Home can do it for you. Activate this applet and tell Google Home to change the temperature to something a bit cooler or warmer than what it is. While Google Home works seamlessly with Nest, it also works with other smart thermostats. The temperature will change and will be logged in a spreadsheet. You need a smart thermostat for this to work. If you have a smart coffee machine, you probably have it set to begin brewing at a specific time. For those mornings you want to sleep in, though, this is the perfect applet. Just tell Google Home to start brewing coffee as soon as you wake up. In only a few minutes, you'll have a fresh, piping hot cup of joe waiting for you. Get coffee without getting out of bed. This applet only works with certain smart coffee makers. If you have a smart plug, you can easily turn your appliances on and off. With this IFTTT, tell Google Assistant to turn off an individual outlet or power strip. This isn't limited to a single brand, either; IFTTT has multiple recipes allowing you to create a custom applet for almost any brand of smart plugs on the market. The ability to turn appliances on and off without pressing a button. You may have to make a custom applet depending on the brand. If you have smart lights installed in your home, you can adjust them without reaching for a knob. Google Assistant can turn the lights on and off and even dim individual bulbs. Just give each bulb its nickname and tell Google which one you want to adjust. The lights will darken or brighten at your word. This works with a variety of smart lights. Lesser-known brands of smart lights may not be supported. 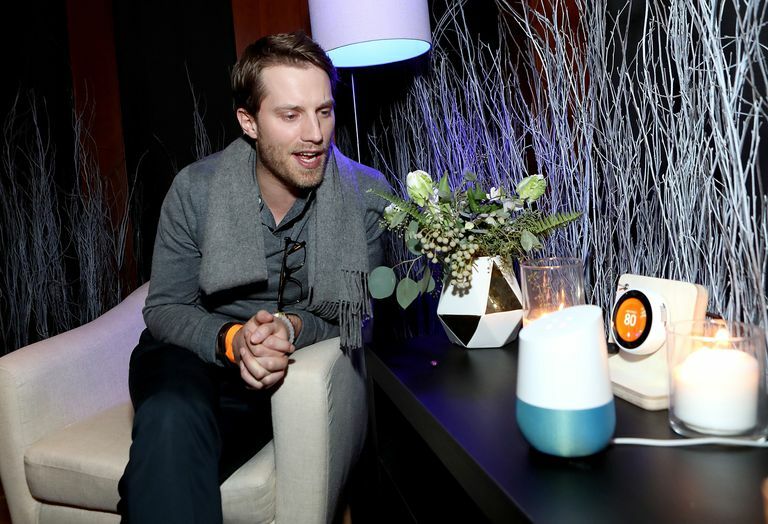 Google Home can already turn on the television. All you have to do is cast to it from any device, and it will automatically turn on the proper display. However, you need to manually turn off the display, unless you connect it to a hub through IFTTT. With something like the Logitech Harmony or another smart home entertainment hub, you can control your television with just your voice. You'll be able to change the volume and turn the television off with just a few words. This requires a third-party hub. How many times have you laid down for the night only to remember you forgot to arm the security system? No one enjoys getting out of bed when they're comfy, and Google Home makes it so you can arm your security system with a simple sentence. Home security integration is needed for more smart assistants. This applet only works with certain security systems. If you keep a Google Home in your office, this is the applet for you. When you finish a milestone on a project, and you already have two dozen tabs open in your browser, the last thing you want to do is open another one to send out a Slack update. Just tell Google to send the message for you to the group. This applet helps you stay productive on busy days. The message is sent without an identifier, so you need to say who you are. This one is just for fun. The Party Time IFTTT recipe tells your Google Home to set your smart lights into a color loop. Throw in a few more commands like "play music" and "turn on the television" and you have the formula for a fun night in. Party time. What's not to like? Without the necessary smart home devices, this applet is rather ineffective.